Chicago – 3; Cleveland – 5: Chris Matthews Nothing: MSNBC Scores Again! Defense attorneys alleged that the arrests were an effort to scare the thousands of people expected to protest at the meeting of world leaders. They told a judge that undercover police were the ones who brought the Molotov cocktails. “This is just propaganda to create a climate of fear,” defense attorney Michael Duetsch said. Later, outside the courtroom, Duetsch said two undercover police officers or informants who called themselves “Mo” and “Gloves” were also arrested during the Wednesday raid, and defense attorneys said they later lost track of the two. “We believe this is all a setup and entrapment to the highest degree,” Duets said. 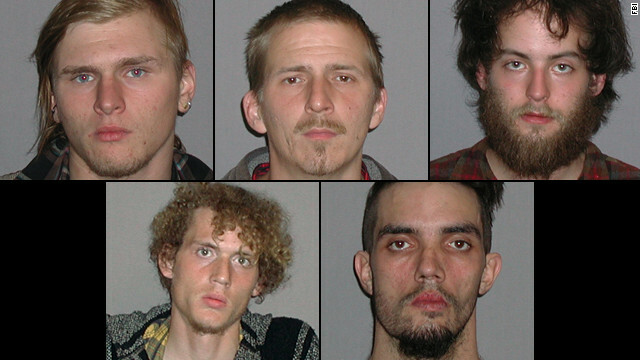 The men have been identified as Brian Church, Jared Chase, and Brent Vincent Betterly– 20, 24, and 24 respectively. Matthews is an intellectual dwarf with the personality of dial tone; yet, he is somehow a voice in journalism. Note to Tingles – American born domestic terrorists are either blown to smithereens, or get do-nothing jobs at blue-chip universities . . .and go on MSNBC. Last week the F.B.I. targeted terror suspects in Illinois and Minnesota. In Illinois one of the suspects was a Wright College teacher and the other an SEIU leader. Joseph Iosbbaker is an SEIU Leader. The sheepish Chicago Media went weak in the knees when Mr. Iosbaker and SEIU used the closing of the Republic Windows factory several years ago as a forum for disgraced Governor Blagojevich. Now, Iosbaker is being investigated in a terrorist plot. What Pension Crisis? 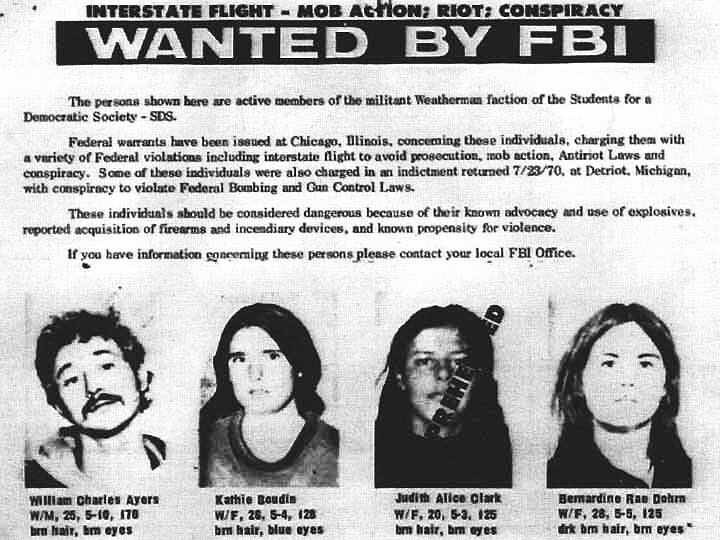 Will Bill Ayers Go on the State Dole? For leaders at the University of Illinois at Chicago, the planned retirement from teaching of former Vietnam War-era radical William Ayers will be a great loss. Ayers, who has served as an education professor at UIC since 1987, is celebrated on campus for his academic contributions, particularly in the area of school reforms, said UIC education Dean Vicki Chou. Months ago it was leaked that Leon Panetta was called out of a White House Meeting so he could personally authorize using a drone missile to eliminate a high ranking Al Quaeda operative. He signed off, even though it also meant killing the wife of the target. And this was reported as if it were the end of the day Dow Jones averages. I was sitting in a hotel room in Vegas watching CNN when the news broke about a light plane crashing—quite intentionally—into that Austin, Tex., building where 200 Internal Revenue Service employees worked. In minutes they had the name of the American kamikaze pilot and quotes from the rambling suicide note he left on the internet. Andrew Joseph Stack III also set fire to the home he shared with his wife and 12-year-old daughter, who recently split because he had been acting strangely of late. Will We Get a Preview of Poems from Thomson to Come? I have just discovered the newest Republican strategy. Possibly it is even larger than a strategy. It may be a belief system. I speak here of the magical power of incantation.